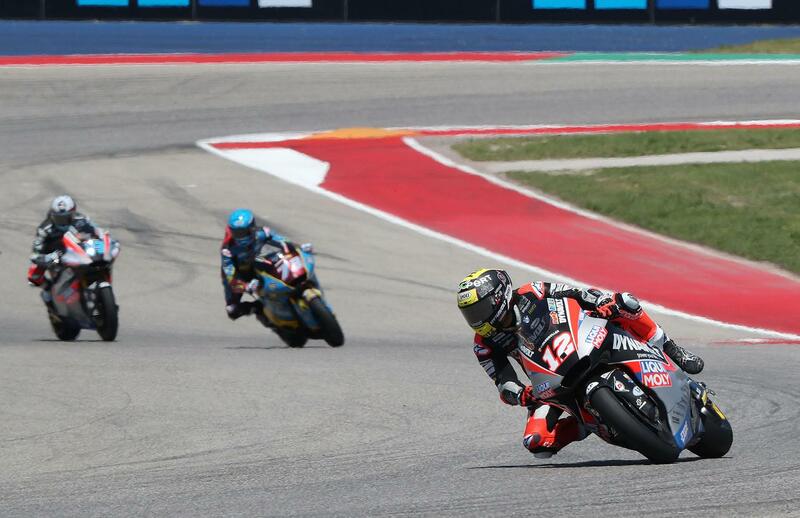 Tom Luthi has returned to winning form after a difficult season in MotoGP, bouncing back on his third race back in Moto2 to take victory in Texas. Pulling clear and then easing away of the chasing pack, he held off teammate Marcel Schrotter and Speed Up rider Jorge Navarro. Speaking after the race, he said: "I am really, really happy. When I passed the chequered flag in first position I immediately started to scream into my helmet. It was an unbelievable feeling. To get a victory again and be back at the front is amazing. The whole weekend went well. We had a good pace and I knew I could be fast. But the guy next to me in the garage has been faster than me all practice long and I think that was not too bad as it put me under a lot of pressure. "We had to fight hard to find the right setup. I want to thank my team for this amazing effort and that we are back at the top. Because of the zero points from Argentina I knew that today I really need points and I need to do a clever race. I had a good start and went into second position from the beginning. Then I had to fight off Alex Marquez, who went into the inside of the turn again, where there was no space and we touched. He tried to leave me behind, but I was able to pass him back and I stayed there." 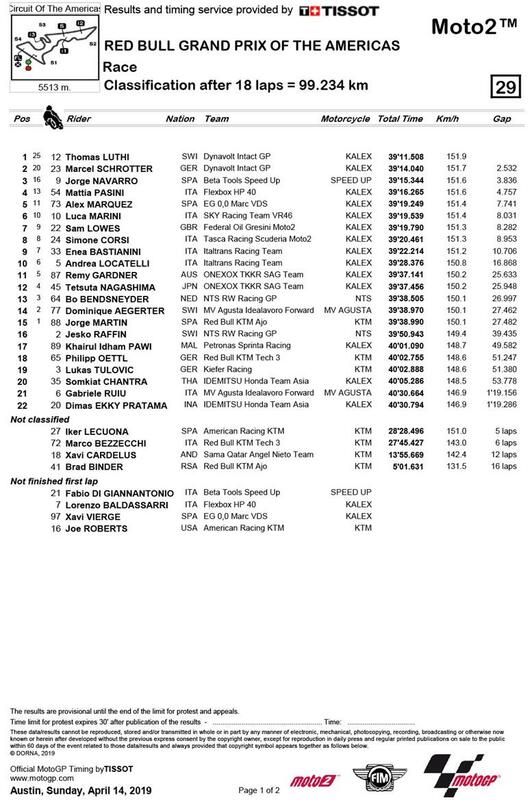 Sam Lowes came home happy with a fighting seventh place, just behind Mattia Pasini, Alex Marquez and Luca Marini. Fellow Brit Jake Dixon didn't ride after suffering a concussion on Friday during practice.